Perhaps its a bit of OCD but I find if there’s a gap in a stock box I have an urge to fill it with something. In this case I have a gap next to my TTA’s and the easy option would be to buy a Bachmann one, fit springs and a new walkway and bobs your lazy uncle! However things don’t work like that and while browsing Paul Bartletts wagon site I came across these! Something a bit different and yet not in a stand out “look at me” way. A couple of cheap Hornby TTA’s were found and cut in uneven halves to make the barrel 3mm longer. I know I have gone on about the Lima Mk2′ s being too short and how I’m not all that bothered and yes the difference is about the same but it pays to think of these things in terms of context and percentages. Context , I need a lot of Mk2s and I don’t see a huge gain for the effort in a large fleet, where as I’m only doing one of these. Percentages – 3mm over a coach is a lot smaller percentage error than 3mm over a wagon that’s less than half its length. The chassis is scratchbuilt (it’s not exactly complicated) from evergreen section with suspension from Wizard models, Buffers are from the Southern modellers group. Also in progress is another Mk2 transit van. I’ve been meaning to do a LWB high roof bus for a while in BTP livery to park outside the station (that’s where the BTP offices were and there were always police vehicles parked there). However an out of the blue request* has led me to a short version instead . 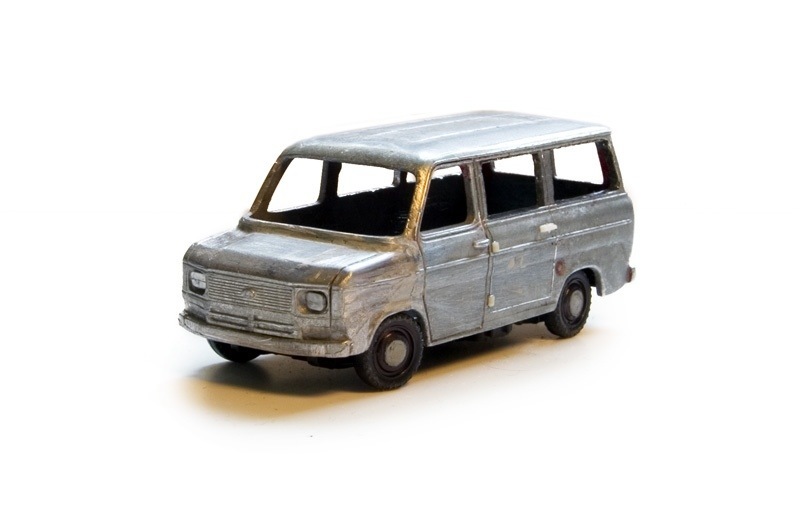 The ingredients are the usual mix of Corgi Mk1 van and ABS fronts with a hefty bit of drilling and filing. *More about that in a later update. 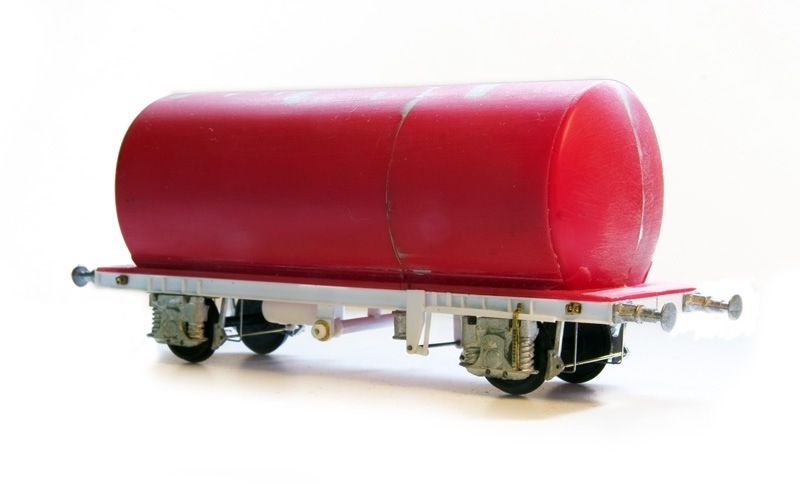 Found this by accident but delighted as a TTA to diagram T077A is on my list but in sandite guise carrying water. Couple of questions if I may please. Firstly, the hornby tank base is quite thick. Did you thin this down before fitting the sole bars? Or something else? Secondly the securing (?) rings on the sole bar – are these one of you etched parts or from somewhere else? Cheers, in advance for the advice.